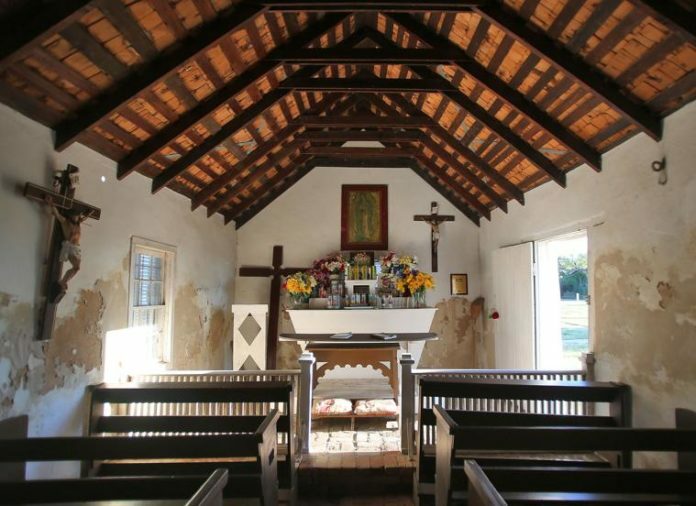 McALLEN — A judge this morning ruled in favor of granting the federal government right of entry to the La Lomita Chapel property, access which comes with a caveat: it’ll be under terms set by the Catholic Diocese of Brownsville. U.S. District Judge Randy Crane made the ruling in federal court Wednesday, deciding that the government’s access to the land surrounding the historic chapel in Mission, which is for surveying purposes in preparation for border wall construction, must be negotiated between the government and the diocese. The surveying access is the government’s first step toward its intentions of possessing the property to build the wall. Mary McCord, one of the attorney’s representing the diocese in its case against the government, said church and federal officials expect to begin talks on entry restrictions by the end of the week. The diocese’s restrictions will be to ensure that worship at the chapel is not interrupted; the hours in which surveying is conducted being the likely consideration.